Trash-collecting bear by day, crime-fighting martial artist by night. 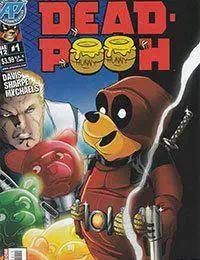 Dead Pooh protects the citizens of Hundred Acre Woodland City from the menace of the Candy King. In the best traditions of parody, Comi-Kazi presents the latest hero to arise to confront the forces of darkness for truth, justice...and a jar of hunny!